MEJ Personal Business Services, Inc. is a professional Translation Services and a Interpreters and Translators Agency offering you high quality Translation Services, Language Translation Services, Document Translation, and Interpreter assistance via On site, Video and Telephone. We Specialize in providing high quality Multicultural Medical Translation, Legal Translation, Technical Translation, Localization, Games Translation, Translation of applications, Software localization Transcription, Subtitles, Voice Overs, and Certified Translation Services for your official Personal and Business documents, Audio, Video and Website. Our interperter Service provides you on demand access to Foreign Language Interpretation Services or Certified Sign language Interpreter or team for your event such as a Legal deposition, business meetings ,medical appointments, Hospitals, Insurance interviews, conferences and more. Our Translation company has combined our management expertise with our talents for the Translating of languages and the accurate Translation and Interpretation of meaning by trained Translators and Interpreters to offer you a service that is matched by few within this industry! As a leader in our field, MEJ is making an impact that can be felt all across the globe in over 170 different languages. MEJ's ability to provide dependable cost effective accurate ,Interpreting Services, Translations ,Sign Language and Tax Preparation Services that assist customers in obtaining equal access to services, information and communicate effectively with non English speaking or Limited English Proficient (LEP) patients, clients, students and business partners is remarkable! MEJ Translation services New York delivers your Culturally and Linguistically correct Language Translation projects on time exactly the way that you want and expect them to be! Choosing M E J as your Languages Translation Services provider will minimize the risk associated with erorrs, omissions, improper treatment, poor client comprehension of your services offered or misdiagnoses of treatment while increasing LEP and Deaf or Hard of Hearing client satisfaction with services rendered by your organization. Remember that there is no Translation or Interpreter project is too big or too small, and we will work closely with you every step of the way to ensure that we develop a cost effective solution that will address your needs for Quality Personal Translation Services or accurate Business Translation. So when considering MEJ Personal Business Services, Inc. for your Interpreting, Translation, and Financial service needs, know one thing for certain. Our team is your team and you're going to love the way we work! MEJ is a Small Business Administration approved 8(a) Business Development contractor, a New York State Certified Minority Owned Business Enterprise, Organizational members of the American Translators Association ATA and National Council on Interpreting in Healthcare NCIH; that is continuously committed to creating and maintaining friendly atmospheres for your Deaf, Hard of Hearing, and Limited English Proficient (LEP) clients. Certified and trained linguist providing you the ability to establish effective communication in over 150 languages with your clients,business partners and more via simultaneous or consecutive interpretation sessions. Resulting in you closing more deals and increasing market share. 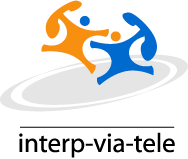 Quickly connecting you and your clients via a secure over the telephone interpreting conference with a Trained Certified Telephone interpreter providing clear precise telephone translation services On demand. offering you the highest quality cost effective Website Translation in over 150 languages . We also translate documents and provide compliant notarization and certification for your Medical , Legal, Technical and Educational related Documentation Translation Services accurately and on time..
Training for your staff that gives a greater understanding of Deaf culture , custom and more increasing awareness and the delivery of services for Deaf patrons and staff . Professional preparation of Income Tax Returns and Electronic filing services nationwide. Offering quality resources to get your taxes prepared accurately and receive your refund quickly. When you hire our Company, you will obtain a tool that will help you open up brand new avenues of communication and opportunity within your target markets around the globe and even with those who happen to be close to home! You've worked hard to get where you are and you shouldn't take unnecessary risks or chances with your image! Let us become the tool that you need to enhance the image you already have and help you reach new market . No matter what business you are in today, you will potentially meet new customers in any given day who speak a different language. Some will speak very little English, and there are others who won't speak any at all. By hiring our firm, you'll be giving yourself an edge in today's marketplace. When you access our 15 years of expertise and our team's ability to articulately speak, translate and interpret over 150 various languages all across the globe, you'll be amazed that you didn't think of us sooner! For an a free quote or an appointment today! When do you need an interpreter?